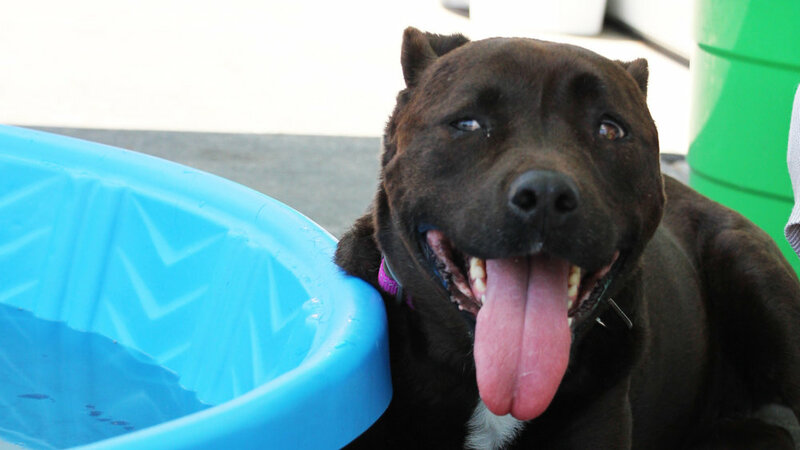 We’re reaching high temperatures this summer and we want you and your dog to stay cool! One of the best ways is to go swimming with your pooch, whether it is at the lake, your backyard pool, or dog beach. Before you go, here are several precautions you should take note of when swimming with your dog. Purchase a life vest for your dog. This will ensure that your dog will stay afloat! It is recommended to have your dog wear a brightly colored life vest with reflective straps to help them stay visible in the water. These will come in handy, especially if you’re going out to the outdoors. Take it slow! Every dog is different, some will learn to love the water, and some will hate it. Do not force your dog to stay in the water if they obviously do not enjoy it. Let them decide themselves if they want to be in the water or not. Practice in shallow water first and let your pooch get comfortable in water, especially if they have not yet been introduced to swimming. Bring toys that float. These are always fun, especially if your dog loves to fetch. If your dog loves to fetch, try tossing some water toys into the water! This would be a fun activity for both of you and your dog. Always remember safety first. Never leave your dog unattended. This is an obvious, but important one! As we’re out there having fun, always keep an eye out for your pup. If you’re taking your dogs to a public area such as a lake or beach, be sure to be comfortable with your dog off leash before letting them roam free. It is important that you know where your dog is at all times for his or her safety. Learn how to perform CPR on your dog. CPR can be performed on not only humans, but dogs too! In case of any emergency, knowing how to do this can save your dog’s life. This skill can be potentially helpful in the future, so take a class if you’re able to! Bring a separate towel for them. When you’re all done swimming, dry off their fur to keep them warm and maintain their body temperature. Wet fur will keep them cold. Do not let them drink water from pools, the ocean, and lakes. Pool water will most likely contain chlorine, which is not good for your dog to consume. Drinking sea water can cause salt water poisoning for your dog. Lake and river water is not always safe or sanitary for your dogs to drink out of. Always provide a fresh bowl of water nearby for them to stay hydrated with clean water. Be sure that there is always an exit available to them in the body of water. This way, they can come in and out of the water whenever they like. Pay attention to your dog and know when they have had enough. As long as you and your dog had fun in the water, you know it was a successful day! Stay cool and have fun in the sun this summer! Check out our previous blog post on summer activities you can enjoy with your pup here.